I always tell my piano students to check out the masters: the historical greats such as Fats Waller, Bill Evans, Bud Powell, Theolonious Monk, McCoy Tyner, and so many others. However, I think it is also important to check out the players of today. Jazz is a living music, and if we ignore those who are playing jazz now, aren't we,in a sense, discrediting ourselves? 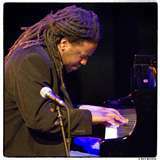 In a recent lesson, I had one of my students listen to some Robert Glasper. Who is Robert Glasper? Back to my lesson: my student and I had been talking about rhythm. I usually urge students to listen to Wynton Kelly to learn how to swing. But jazz rhythm has changed a lot since the 1950's and 1960's. It has incorporated all of the trends in American popular music, including rock, soul, funk, and hip hop. Glasper does some beautiful behind-the-beat hip-hop phrasing on "Yes I'm Country(And That's OK)". I wanted my student to try to emulate Glasper's approach in order to have a wider perspective, and to make his rhythmic approach more organic. 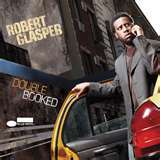 I highly recommend you check out Robert Glasper if you want to hear a soulful, modern spin on jazz piano concepts. Cool- thanks for the heads-up on this guy. gold bracelet charmsArthritis AidsGeorge sorry one more (hope you don't mind) this is a question that came up while re-reading your suggestions. This area where u mentioned " I like Tristano's idea ..... It's like soloing in slow motion. Eventually, you want to be able to do that in time."